Living on the road, ping-ponging across the country, we stop by tons of local gear shops. There is no better way to learn about a local area than chatting up a gear shop employee. We also shop online, mostly because we’re absolute gear nerds and the quantity of products available online is even greater. When we talk to other people about gear, we’ve found that the most recognizable name in outdoor retail also happens to be one of the oldest. REI, founded 80 years ago, in Seattle. If you live somewhere without an REI nearby (see map) and/or you do not plan on buying more than $200 in gear online from REI for the rest of your life (once you surpass $200 the dividends at the end of the year covers the membership cost). I became an REI Co-op member nearly 10 years ago. When I first moved to Seattle, I didn’t truly understand the benefits of becoming a Co-op member. Sure I could get money back via the 10% dividend, but I didn’t know if the membership would even pay for itself. I already had a solid camping/hiking setup and didn’t have a plan for any radical gear purchases. I was also skeptical of anything that seemed remotely close to a “chain store” selling me a “membership.” I assumed they must have a hidden agenda. 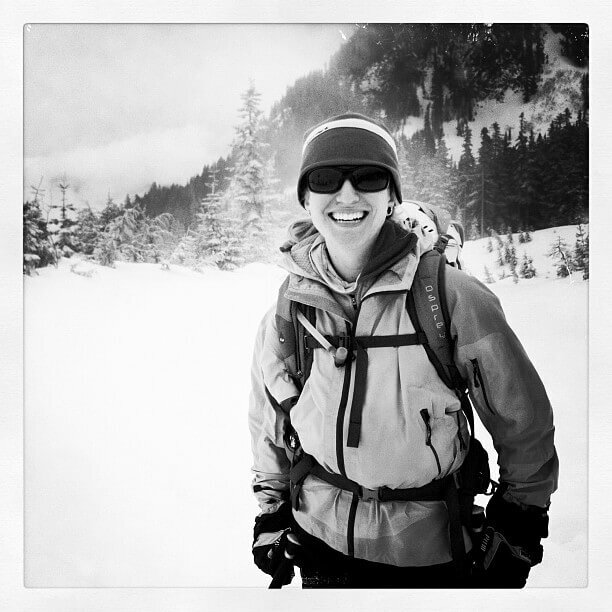 My opinion started to shift when I bought a backcountry snowboard pack at REI. My new boyfriend Andreas, a long-time REI member, offered to put the purchase on his Co-op membership card. This would mean he’d get a dividend, and if it malfuncted it would be easy to return without the receipt. At the time I thought using my boyfriends membership card was enough. But my mind changed when I joined a Mountaineering Club, and had a long list of items to buy before the class officially started. I wanted my own dividend. Plus, what if we broke up and the return policy wouldn’t work as easily?! As I was running down the list of purchases on my Mountaineering Gear List, I found that REI was one of the few local shops that sold webbing by the foot, so I could customize my 1″ nylon slings to match my shorter than average body. A small win. One of the most expensive items on my list was a pair of mountaineering boots, and the selection at REI was on par with the other local shops. My decision to buy my mountaineering boots at REI was specifically because of the benefits of being a Co-op member: The dividend (these boots were hundreds of dollars and not on sale at the time) along with a generous return policy (which I fortunately did not have to use). Summit of Mt. Shuksan. Check out all that 1″ webbing, understandably the main focus of the shot! Whenever we’d stop by REI for a map, or other last-minute items, I’d also make sure we checked out the “Garage Sale” area, where you could sift through all the returned items and score some great deals. 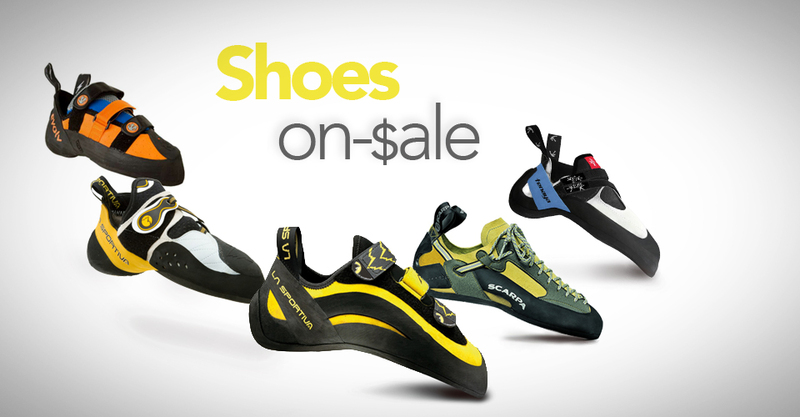 This was/is especially great for climbers because there always seemed to be returned climbing shoes for cheap. Otherwise, I would wait to make large purchases when I could use my 20% off member coupon. For example, I bought my Thule roof box from REI using my 20% off member coupon (those damn boxes never go on sale otherwise). That box has been on top of my car every day since. Thule box on top, WeighMyRack World Headquarters in back. If you’re reading this post between Nov 9 -19, 2018, then you can use your 20% off member coupon right now! There’s 1 coupon for any item, and another coupon for 1 outlet item. I became an REI member so long ago I can’t remember the year. Update: I looked it up, and it turns out it was 17 years ago. During my time as a member I’ve come to see 4 major personal benefits to shop at REI. The first and most obvious is the money savings. The 10% back is always a welcome surprise, not quite as big as a tax refund but nearly as exciting. The second is the easy access to quality gear in a local brick and mortar store. I can’t count the number of times I’ve had to run into the flagship Seattle REI store for that last piece of gear I needed on my way out of town for a last-minute adventure. I’ve made last minute stops for stove fuel, replacement sleeping pads after discovering holes too large to patch, spare ski binding parts before a hut trip. I even purchased a down jacket one evening on my way to a spur-of-the-moment, after-work, overnight climb of Mt Baker. Over the years, I’ve been lucky to have a store I could rely on to help save me from my own inept gear preparation. Andreas enjoying the Cascades. Coincidentally this Prana hat came from REI. The third benefit is the knowledge that REI is utilizing the resources they have to benefit the outdoor community and the environment I want to protect for future generations. This is no small commitment they have made and continue to invest in. I get a great sense of satisfaction knowing that I can buy the gear I want, get some of that money back in the form of a dividend, and much of the remaining profit goes toward social and environmental causes I want to support anyway. Note: I didn’t become a member because of this, but it’s definitely a big reason why I value my membership now. The fourth benefit I love is the Return Policy. I’ve returned only a handful of products, some for defects and others for unimpressive performance, but simply knowing that if I’m not satisfied, I’m not going to be stuck with a product I don’t like.I tend to research gear to the point of exhaustion before making a purchase (last-minute adventure needs not included), so when I make a large purchase I expect it to work. But sometimes a good idea at first, turns not-so-great. 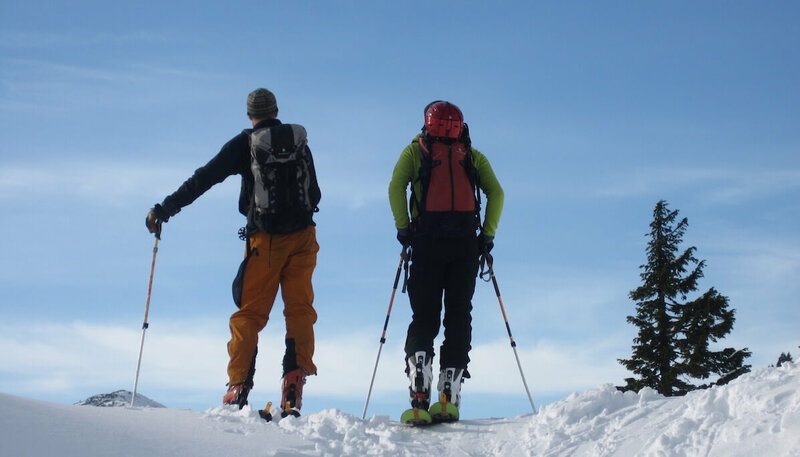 One example is a pair of lightweight mountaineering boots that simply did not work for me. They felt great in the store. But after wearing them for multiple days, I couldn’t stand to put them back on. So I returned them and got a similar model from a different brand and couldn’t be happier. And the return process in the store could not have been easier — I said I wanted to return them, REI asked for my membership number to verify the purchase, and then it was done. I have amazingly fond memories of most my gear. Like all my winter adventures from the Olympics to the Canadian Rockies while wearing the bright red Arc’Teryx Alpha SV jacket I got for 40% off in 2001, and which I still own. The sleeping bag I bought prior to a 2 week trip to the Lofoten Islands which has been my trusty, and now stinky, companion for the last 7 years. The mid-top boots I wore for 2 weeks with the same socks on a paragliding/skiing trip to the Alps (horrible does not begin to describe the smell). The new bike shorts for both Alison and I for our 2 wheeled tour around Sicily in 2012 – which we both still wear. The Julbo glasses I wore on virtually every trip between 2013 and 2017 (I have many more pairs of Julbo’s now). The countless USGS and Green Trails maps that enabled exploring the Cascades with confidence. And so much more. We’ve been to some free REI classes when we lived in Seattle, but we’ve never actually used this discount benefit. In 2017, REI pledged to invest more than $1 million in organizations that ensure women are equally inspired and equipped to embrace a life outside. And pre-2017 they had done even more, including a $1.5 million grant to the Outdoor Industries Women’s Coalition (OIWC) in 2015 with the Mary Anderson Legacy grant. Your purchases support these causes. 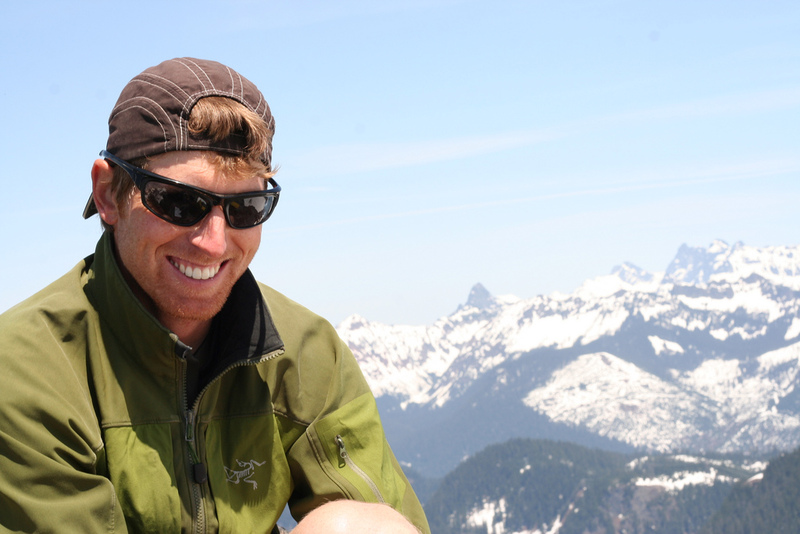 REI is a founding member of the The Outdoor Industry Association Sustainability Working Group. More often referred to as OIA SWG, these meetings happen 2-3 times a year and we’ve been attending these meetings the last few years. From our vantage point, the impact of these meetings are one of the biggest reasons you’re seeing a push towards sustainability in the Outdoor Industry. REI has a MAJOR presence, and is making a BIG difference in encouraging brands to become more sustainable. REI’s most recent (2017) Stewardship report claims REI reinvested nearly 70 percent of profits into outdoor communities and advocating for public lands and gender equality. It’s great to see the money we spend on gear to get outdoors is being used to protect those places and encourage more outdoor engagement. Two videos that totally stick out in our minds are: How to Run 100 Miles (we’ve both seen it at least 3 times, it’s a tearjerker) and Safe Haven, an uplifting story of a climbing gym in Memphis, TN. Do you have a favorite REI video? Or have other membership benefits we missed? Let us know in the comments! This post was sponsored by REI. What does that mean? We asked REI, “Would you sponsor a post where we wrote our Co-op membership stories?” And they said yes. The contract was simple. All the bullet points of becoming a member were our idea after the contract was signed. We are a sucker for writing about anything that supports more people getting outdoors and supporting the environment. And any money that goes towards that, REI Co-op membership dollars or not, is awesome.